This recipe is from The Oh She Glows Cookbook by Angela Liddon. 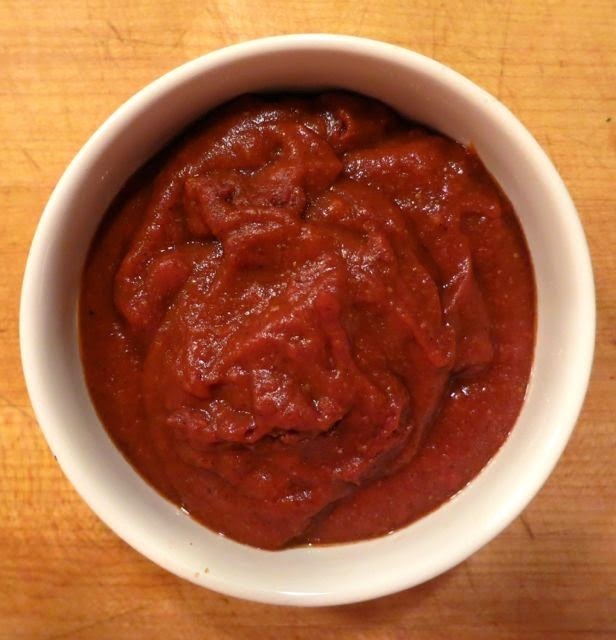 It is the perfect enchilada sauce. In a medium saucepan, melt the vegan butter over medium heat. Stir in the flour until a thick paste forms. Stir in the chili powder, garlic powder, cumin, onion powder, and cayenne until combined. Cook for a couple of minutes until fragrant. Stir in the tomato paste, followed by the broth. Whisk until smooth and combined. Bring to a low boil over high heat (covered, if necessary) and then reduce the heat to medium to maintain a simmer. Stir in salt to taste and simmer for about 5 minutes, until thickened.